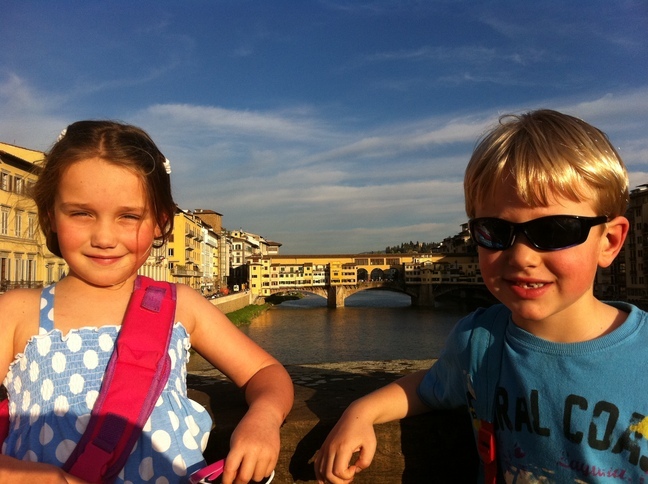 We’re just back from Italy! And I’m reeling with joy, not just because of the fantastic experiences we’ve had over the last four days, but also with the sheer delight of having witnessed a desire manifest so exquisitely! C’s delight in the miniature statue of Michelangelo’s David she begged me to buy for 4 Euros from a Florence souvenir stall. I cherish her innocence of any cynical grown-up notions of tackiness! 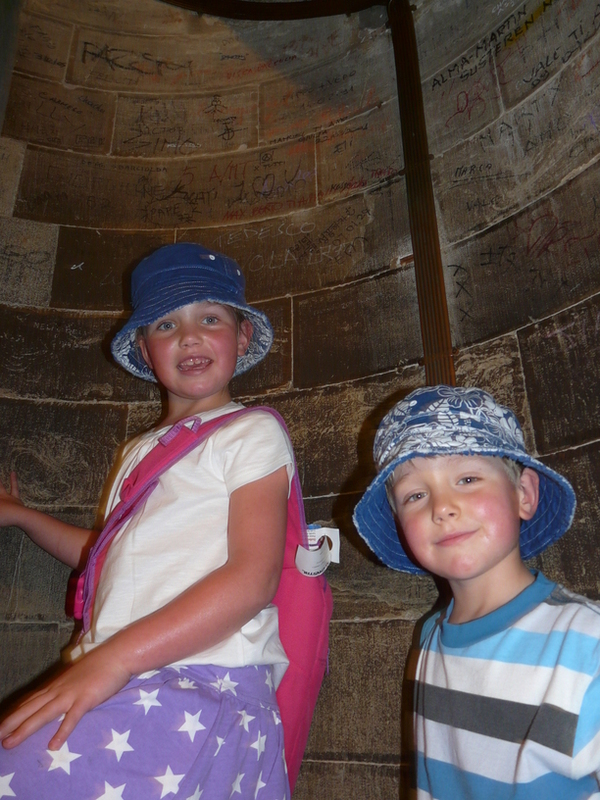 Climbing the narrow, windy steps (and ladders!) 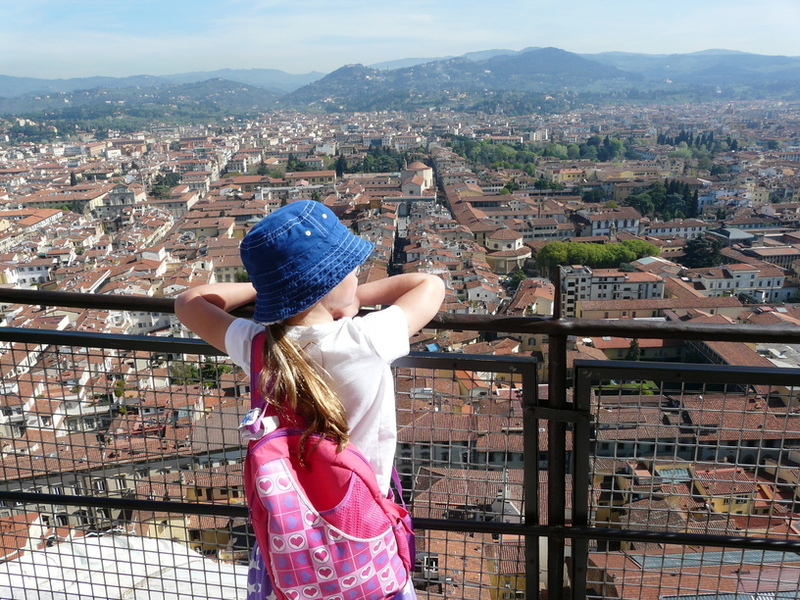 to the very top of the Duomo (dome) of Florence Cathedral. 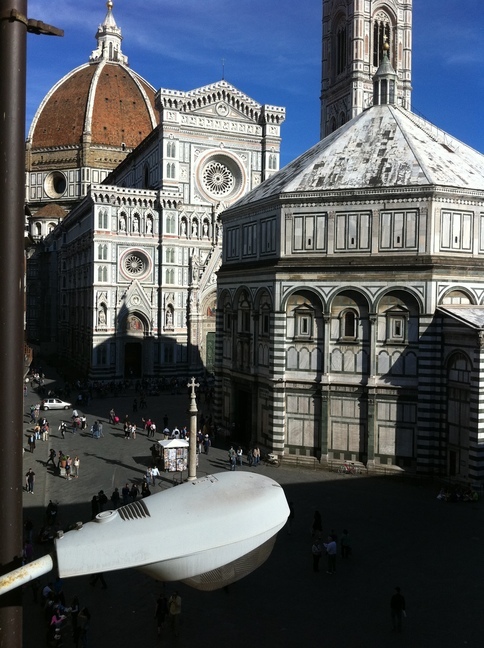 This really was the perfect culmination of a desire which began with our reading of “Pippo The Fool”, the story of how Filippo Brunelleschi designed the dome. 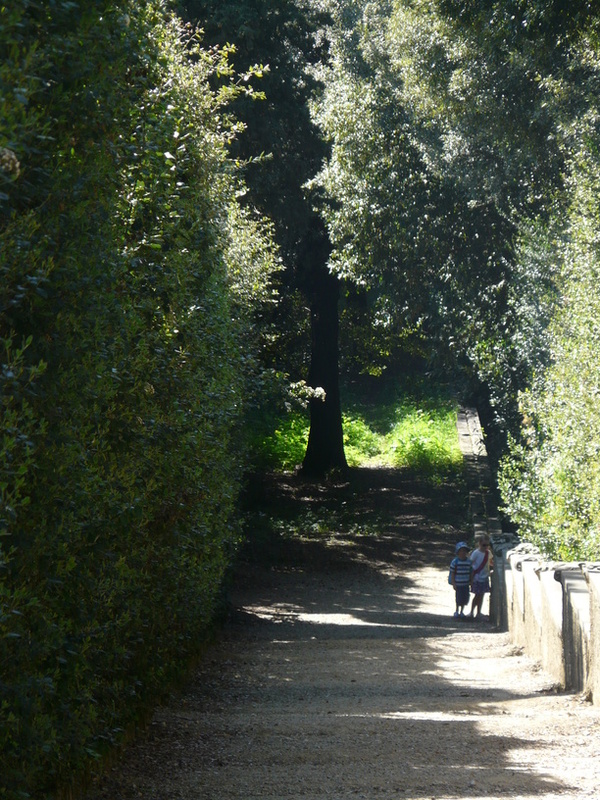 Our afternoon wandering around Boboli Gardens, the grand, sweeping gardens just south of the river Arno, laid out nearly five hundred years ago by the Medici family. My consistent inability to orient us on the map made for wonderful meanderings through parts of the gardens we never would have seen had I had more of a clue where we were at any point! 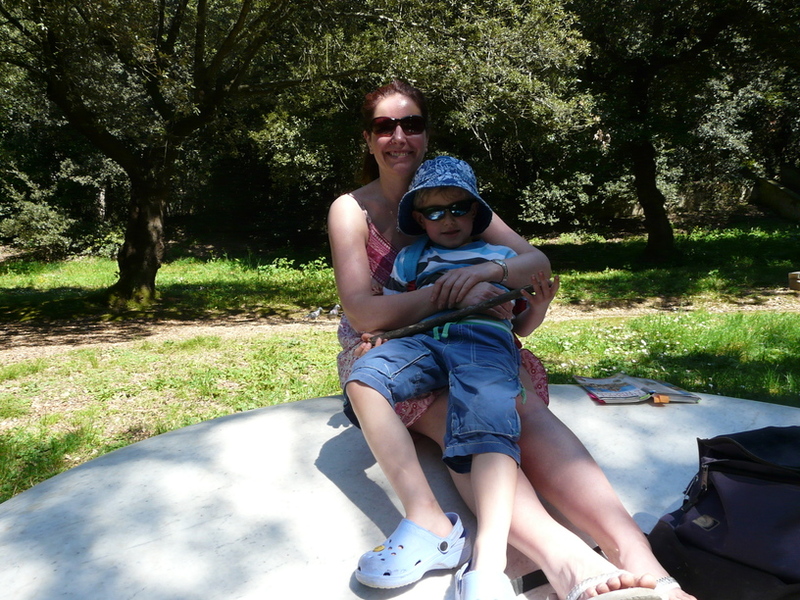 We spent about an hour indulging our senses on this smooth, cool piece of marble nestled in a dappled glade. 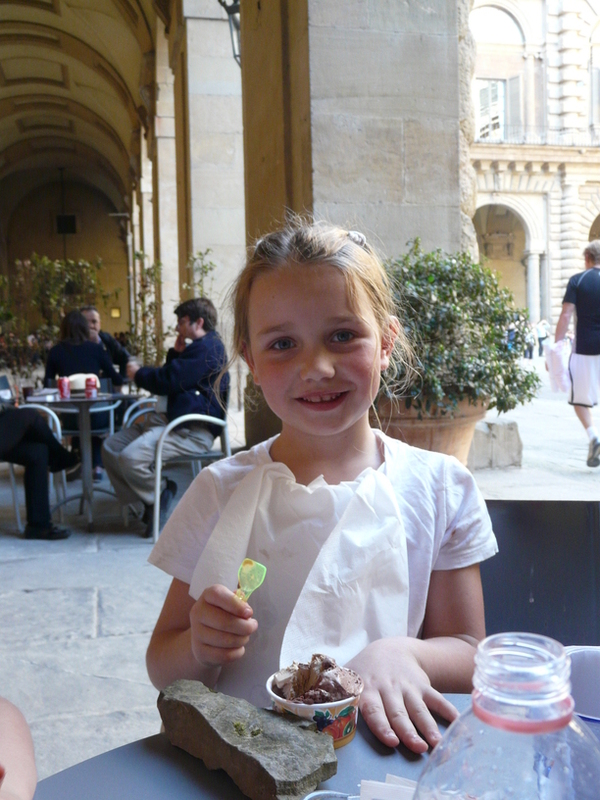 And of course there was ice cream at the end of our travels. 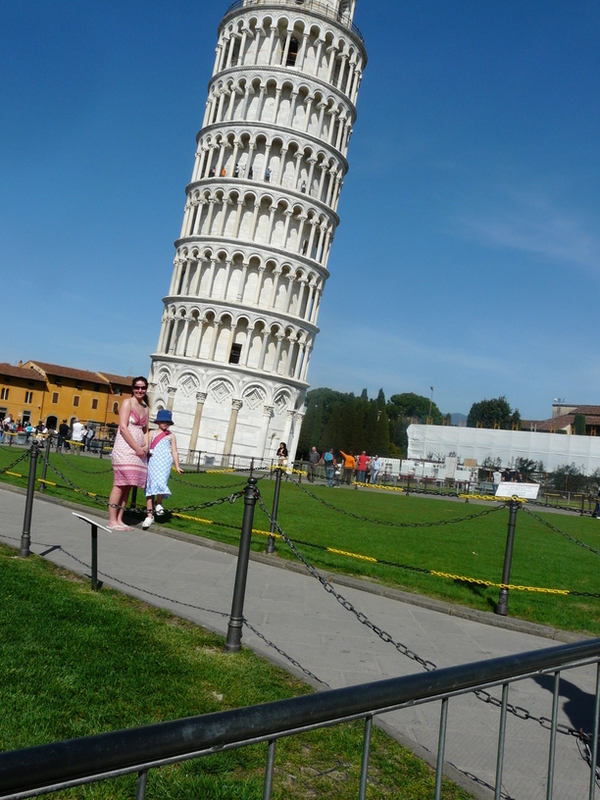 Pisa: basking in the sunshine with C in the Field Of Miracles (while a few feet away J added “in the shadow of the leaning tower of Pisa” to his list of “places I have played my Nintendo DS”! 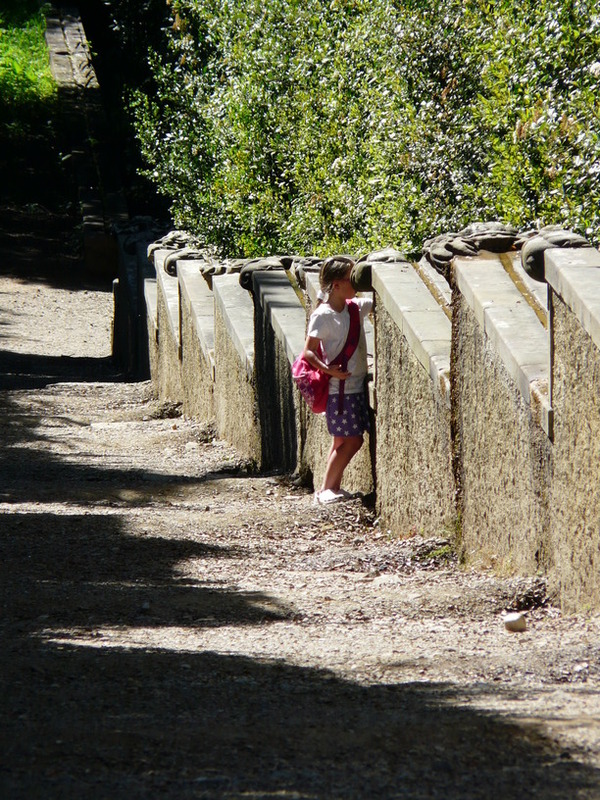 ); playing “I Spy” in the botanical gardens; J’s photos! One of my favourite things to do when I’m on holiday is fantasize about the next one. (I used to worry that this was detracting from enjoying the moment; but when I checked in with myself I realised that, for me, it enhances it!) I’d like to continue the Southern European theme and make our next destination the Spanish city of Granada, where I spent a wonderful year when I was in my twenties. 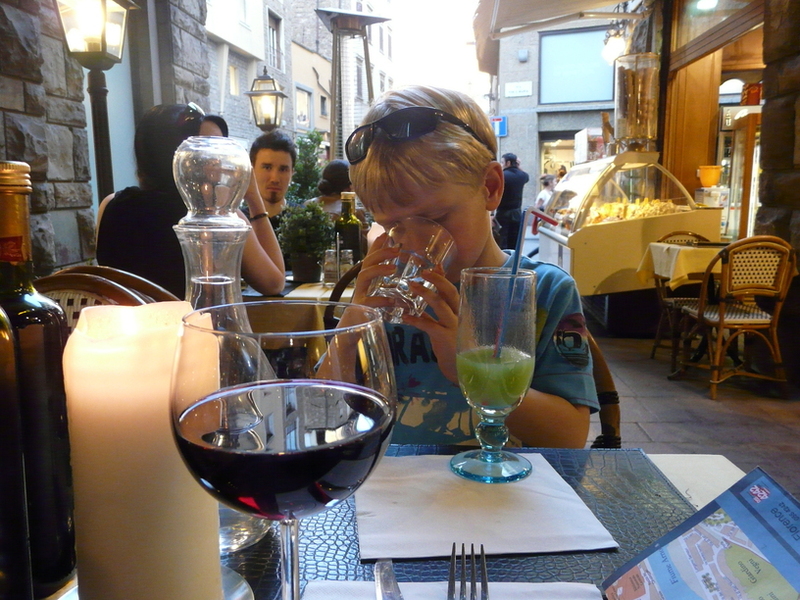 In my planning I’ll take on board one of the things we learned in Italy – that, as introverts, we need to balance time spent in the exciting hustle and bustle of a city, with green open spaces and, in warm weather, cooling water to play in . Granada, home of the magnificent Moorish palace, the Alhambra, with its delightful Generalife gardens, is perfectly situated right next to the beautiful Alpujarra mountains and within easy reach of the beaches of the Costa Tropical. I’m getting excited already! One of the things I was looking forward to about home educating both my children was having more flexibility to travel. In a year or so I’d love to spend a month exploring Europe by camper van or train, and driving home from Centerparcs I made a shortlist of places I thought we could “practise” on: Italy (culture, sunshine, food), the south of Spain (I spent a year in Granada in my 20’s), and Paris (culture, French, Eurostar). It was therefore with great excitement that I booked for the three of us to go to Italy for three days in April. I had had in mind Florence, a beautiful and managably-sized city I fell in love with when I was lucky enough to visit on a business trip. C fancied Pisa, for its famous tower. J was happy to go anywhere there was pizza, pasta and ice cream! MyItalian geography isn’t great, so I was thrilled to discover that not only is Pisa a budget-airline destination whose airport is ten minutes walk from the city centre, but that Florence is only an hour away by train. With flights and hotels booked (two nights in Florence, one in Pisa) I am now ridiculously over-excited! The Earworms Italian app is on my iPhone; I have tracked down second hand copies of Pippo The Fool (a children’s story about the eponymous architect considered to be the father of Renaissance architecture, and whom we have to thank for Florence’s famous Duomo) and Leonardo And The Flying Boy (“an exciting introduction to the great genius of the Italian Renaissance”); I have added some wonderful blogs like CiaoBambino to my google reader; and I have even started reminding myself what the Renaissance was all about, thanks to some excellent children’s history websites! So – very inspired, and extremely appreciative of the instant and free resources the internet provides – and the people who put them up there, of course!